Weston Richburg Is Preparing to Sign With New Team, Should Giants Match? 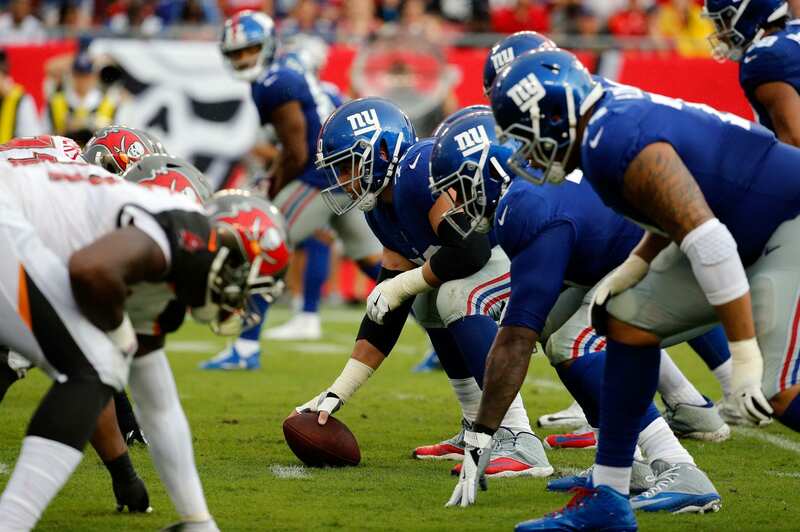 Home New York Giants Weston Richburg Is Preparing to Sign With New Team, Should Giants Match? Well, it seems like New York Giants free agent Weston Richburg might be taking his talents to a new team, but not a new city. Richburg is in extensive talks with the New York Jets to become their new center. With the Giants unwilling to pay top dollar for their lineman, letting him go became the consensus after the 2017 season. Richburg played well in 2017, but after being diagnosed with a concussions he never made it back to the playing field, despite advocating for his return. The Jets would acquire a “B” graded center to add to their offense, who will likely have a new starting quarterback by the end of the 2018 NFL Draft as well. The Giants on the other hand have the opportunity to try and re-sign Richburg, or find value elsewhere. I assume the Giants will vote to keep reserve lineman Brett Jones and make him their starting center for a steal of a price. Richburg will likely be earning upwards of $7 million per-season, where as Jones would be earning in the $2-3 million range. Can Jones hold down the center of the line? The big question is: Can Jones play well for an entire season as the starting center? After Richburg went down with a concussion, Jones filled his role valiantly, performing well and earning high marks. Per PFF, Jones graded out with a 63.9, ranking 18th in the league. We can give him some leg-room with these number considering he didn’t play the entire season, and didn’t have any help around him (thanks Bobby Hart). If the Giants decide to address the position elsewhere, it will have to be low-cost and great value, something that the current market for centers is lacking.